We went to the Movie Tavern yesterday so the girls could see Diary of a Wimpy kid (it was really boring, by the way). 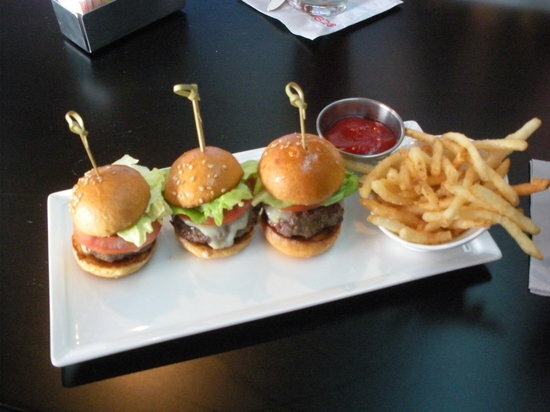 Chad decided he was over the juice fast and wanted some real food so he ordered some Kobe Beef sliders. It’s amazing how heightened my sense of smell is during the fast. When the sliders arrived the aroma of grilled onions filled my nostrils. It was the first time in awhile that I experienced actual hunger pangs. I made it through another day, though. So now, I’m on day 7! It tasted a lot like a Bloody Mary without the booze or Worchestire sauce. Isn’t it great how husbands do that! ?